"One Human Family." That's how locals in Key West describe the attitude of their island paradise at the sourthernmost point of the United States. Not only has this open and inclusive family created one of the most exciting destinations featuring a funky charm, amazing restaruants, diverse entertainment, eclectic art, and more, but for generations, Key West has served as a safe space for the LGBT community. All that and more make it the perfect place to host the Finale Week of North America's biggest LGBT bartending competition and bartender celebration, the Stoli Key West Cocktail Classic. 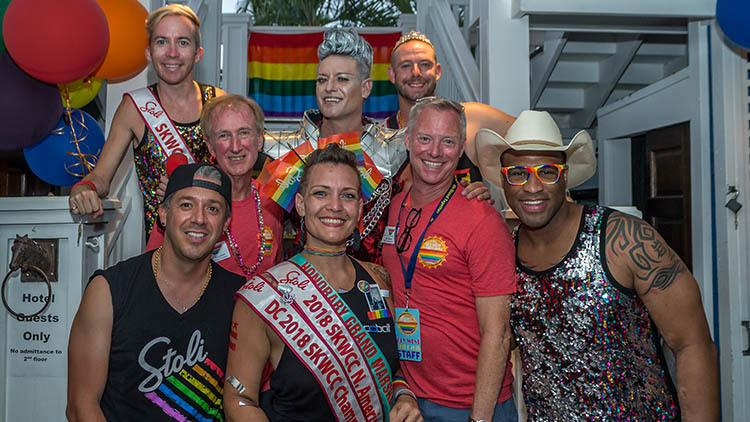 Now in its fifth year, the 2018 Cocktail Classic toured 14 cities around the U.S. and Canada to find the Number One LGBT+ Bar Star in each city. 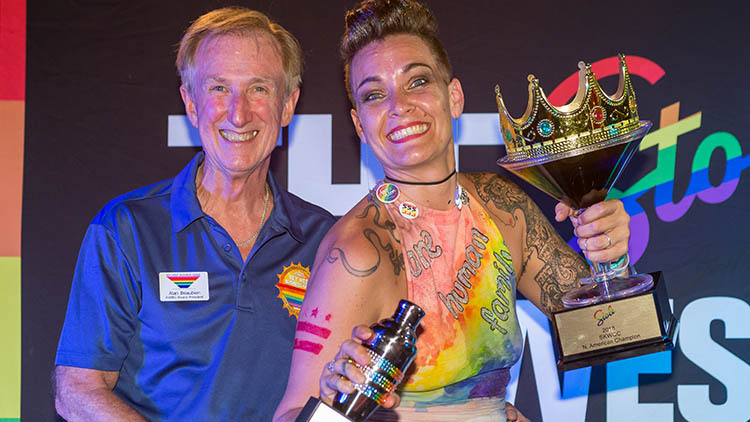 After each city had named its local champion, all the local champions convened in Key West, where Stoli and its non-profit partner, the Key West Business Guild, hosted a week of events, competitions, and shows leading up to the Main Stage Finale. Behind the scenes, a small team of indivuals whose passion for making Key West a beacon of inclusivity for the LGBT community work tirelessly to ensure the competitors, celebrity attendees, and all the staff involved feel at home during their stay on the "close to perfect, far from normal" island. We caught up with Dan Skahen, the executive director of the Key West Business Guild, to find out more about how they are raising the bar for the LGBT community of Key West. OUT: To start, can you describe the role that the Key West Business Guild plays in serving the LGBT community of Key West? Dan Skahen: According to our mission statement, "The Key West Business Guild promotes LGBT travel to Key West through marketing and the promotion of specialty events; to support gay-owned, gay managed, and gay friendly businesses; to strengthen the community’s position within the local community by supporting relevant LGBT issues.” We are celebrating out 40th anniversary this year. 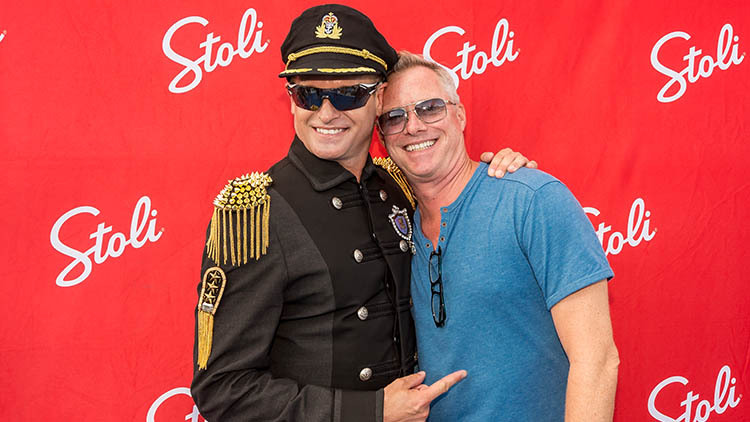 Can you tell us about your relationship with Patrik Gallineaux, the National LGBT Ambassador for Stoli, and how your relationship with Stoli has evolved over time? In 2018 we celebrated our 5-year anniversary with our partnership with Stoli. As with any partnership, it has evolved over time. This past year we had 14 finalists competing for the the title of Number One Bar Star in North America. Each year, Patrik works tirelessly to make the Cocktail Classic even better than the previous year. He sets the bar high and we as an organization want to meet his expectations. Each year, the Key West Business Guild is a huge partner in ensuring that the Stoli Key West Cocktail Classic is successful. Can you describe the KWBG’s role in the 2018 events? I like to think the Guild as the “feet on the ground” - so to speak - in Key West prior to Patrik and the bartenders arriving. The Guild is responsible for housing all the bartenders, staff and talent. In 2018, we housed 29 people for the Stoli Key West Cocktail Classic Finale Week. If you know about Key West housing, this was no small task. We also pair up some amazing local non-profit organizations with each of the competing bartenders. 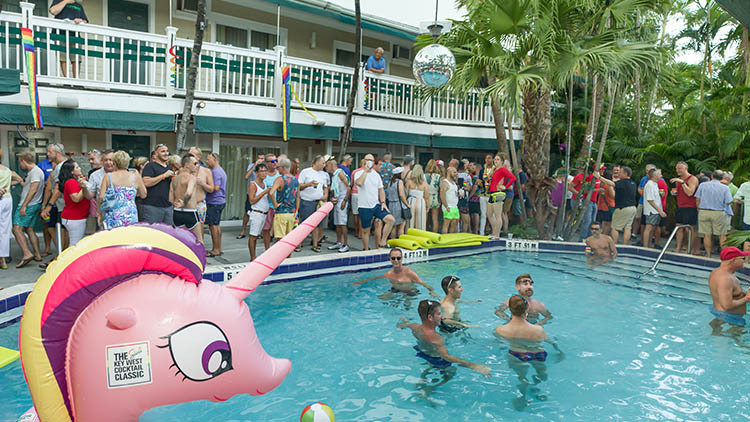 How has the KWBG’s partnership with Stoli helped elevate the LGBT community in Key West? With Stoli traveling to 14 major markets throughout the United States and Canada with the name "Stoli Key West Cocktail Classic," this partnership generates buzz we would be unable to buy. The Guild is a non-profit membership based organization. Key West has played such an important role as a safe space for the LGBT community over the years. Why do you think Key West has made an important legacy with our community? Key West truly embraces the motto “One Human Family.” I like to say we have no class system here. It is not uncommon to find a multi-millionaire having lunch or cocktails with their neighbor who works as a waiter or bartender. This non-judgemental attidue allows the LGBT traveler to feel safe here. Most LGBT people don’t feel safe walking hand in hand in their hometown, but can come to Key West and be themselves, out proud members of the community. One of our favorite parts of the Stoli Key West Cocktail Classic Finale Week is seeing the many local non-profit organizations who come out to support the bartenders as they compete for the title of 2018 Champion. Why are these organizations so important to the community here in Key West? Key West is a very giving community. We have many non-profits as part of our membership. If you want to get involved in the community by volunteering, many opportunities exist in Key West. From gardening, to children’s causes, to cooking for the homeless. Whatever your passion is, you can find it here. What is the biggest change you have seen in the Key West LGBT community over the last 10 years? Key West has pushed the boundaries for equality. All communities come together here for the common good. With equality comes inclusion. We embrace all who come the Key West, straight and gay. What tips do you have for out travelers coming to Key West for the first time? Relax and leave your big city attitude at home. We live on an island, so take your watch off, put your phone down and enjoy your surroundings. Key West is a very beautiful city filled with wonderful architecture and history. Grab a mojito or margarita and live like a local! Now that the 5th Annual Stoli Key West Cocktail Classic has passed, what’s the next big event on the Key West Business Guild’s calendar? How can people get more info? Our next major event is Tropical Heat (for the boys), this August 15-19. Then Womenfest (for the girls), this September 5-9. One of our more popular events that takes place during Fantasy Fest at the island's newest ampitheater is our Headdress Ball. All our events can be seen on our web page at GayKeyWestFL.com. Finally, if you had to pick one spot on the island to enjoy a Stoli cocktail, where would it be? Anywhere on the island that serves Stoli would be fine with me…..
Visit GayKeyWestFL.com for more information on how to support the Key West Business Guild and attend one of the many events they host for the LGBT community. To learn more about Stoli's purposeful mission to raise the bar by reinforcing the brand's long-standing commitment to the LGBT equality movement, visit HeroesRaisingTheBar.com.